Over 100 Japanese American veterans attended The Institute for Healthy Aging at Keiro’s Genki Conference: Veteran’s Edition on April 6. 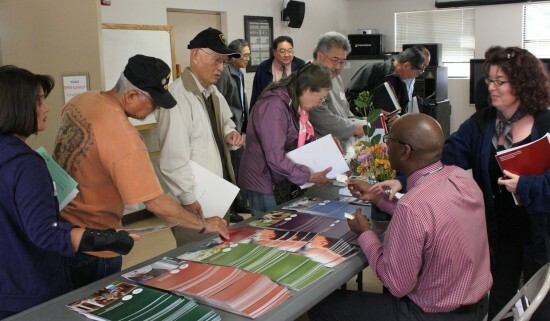 Over 100 Japanese American veterans, spanning service from World War II to the present, attended The Institute for Healthy Aging at Keiro’s Genki Conference: Veteran’s Edition on April 6 at Keiro Senior HealthCare’s Los Angeles campus. Donald Hiroto, Ph.D., associate clinical professor of psychology at UCLA, spoke on the psychological and emotional well-being of veterans. 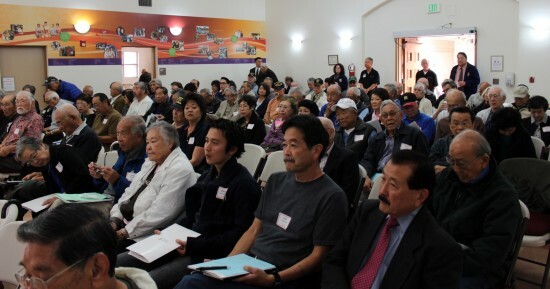 Presented in partnership with the Japanese American Vietnam Veterans Memorial Committee, Japanese American Korean War Veterans, Go for Broke National Education Center, and Kazuo Masuda Memorial VFW Post 3670, the conference highlighted multiple dimensions of wellness for veterans, including physical health, as well as occupational, financial, intellectual, emotional, social, spiritual, and environmental health. Taken all together, a balance of these dimensions results in a genki (or healthy and vibrant) life. Speaking on “Aging, Healthy Longevity, and Successful Late Life” was Thomas Yoshikawa, MD, deputy chief of staff of geriatrics and extended care and special projects for the VA Greater Los Angeles Healthcare System. He is a distinguished professor of medicine in geriatric medicine and infectious diseases at the David Geffen School of Medicine at UCLA, and editor-in-chief of the Journal of the American Geriatrics Society. Yoshikawa was followed by clinical psychologist Donald Hiroto, Ph.D., who spoke on “Psychological and Emotional Well-Being of Veterans.” Currently an associate clinical professor of psychology at UCLA, he recently retired as a supervising psychologist for the West Los Angeles VA Medical Center, and was chief of the Depression Research Lab at the VA. During his 30 years at the VA, he treated inpatient and outpatient veterans for combat- and non-combat-related trauma as well as other psychiatric disorders. 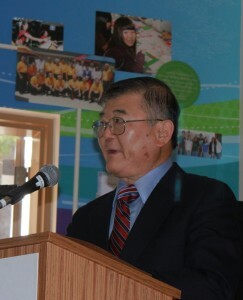 Hiroto’s brother, Edwin, was one of the founders of Keiro Senior HealthCare. Addressing the occupational and financial aspects of health were representatives from the U.S. Department of Veterans Affairs who spoke on the array of benefits available through the VA, including independent living services and health and medical benefits. Present from the VA were Everett Wong, counselor, Los Angeles VA Resource Center; Ramon Silver, senior veterans’ service representative; Garry Monji, assistant vocational rehabilitation and employment officer, VBA; and Robinette Bryson, vocational rehabilitation counselor, Los Angeles Regional Office, VA. The VA representatives presented a Resource Fair that followed the conference, and provided counseling and enrollment services. Veterans enjoyed a Resource Fair of counseling and enrollment services, presented by representatives from the U.S. Department of Veterans Affairs.